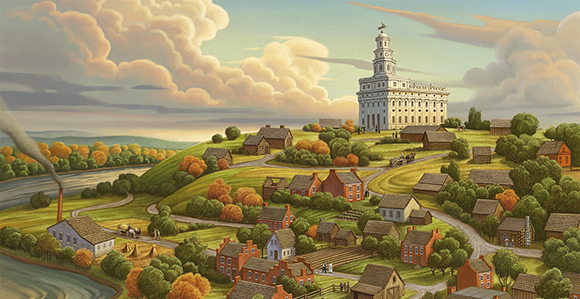 Cover image: “Nauvoo the Beautiful” by Greg Newbold. The Latter-day Saints had endured outrageous oppression in Missouri, been driven from the state by order of its governor, been taken in as refugees by generous Illinoisans, and had reclaimed swampland to establish a new settlement on the bank of the Mississippi River. It was time for a period of recovery, covered in the latest Joseph Smith Papers release, volume 7 in the Documents series, September 1839 to January 1841. The new volume contains 129 documents—personal correspondence, discourses, minutes, a revelation, even a memorial to the United States Congress appealing for help in obtaining compensation for their losses. Thus, over the years, the onus has been on Van Buren for the federal government’s refusal to help the Saints. 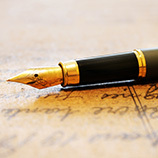 “It’s one of the general misconceptions, and it’s largely based on the readings of History of the Church out of context with the rest of the documents,” said Spencer W. McBride.